You are here: Home » Go Red for Women’s Heart Health! Go Red for Women’s Heart Health! Check back for our pictures from today’s “Go Red” day at the ChefUniforms.com corporate office. There are many ways you can help raise awareness for women’s heart health (including shopping!) 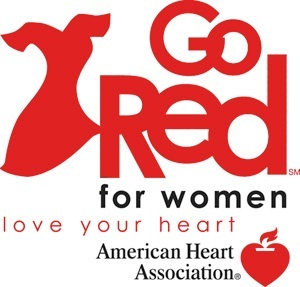 so check out the American Heart Association’s ways to help out: http://www.goredforwomen.org/getInvolved.aspx! Is your workplace celebrating American Heart Month this February? Try hosting your own “Wear Red” Day awareness event for your restaurant with our huge selection of red chef coats! ← Six more weeks of Winter!